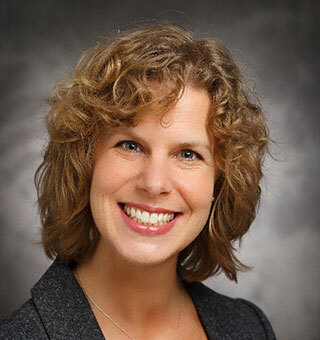 A leader in her field, Christina Runge, PhD, CCC-A, brings to the AHRF Research Committee extensive research experience and clinical knowledge as a licensed audiologist, along with specific expertise in cochlear implantation. At the Medical College of Wisconsin in Milwaukee, Runge currently serves as Associate Provost for Faculty Affairs, Senior Associate Dean for Faculty Affairs, Chief of the Division of Communication Sciences, Director of the Koss Cochlear Implant Program, and Associate Professor. She regularly presents at regional, national, and international meetings on cochlear implantation and hearing loss and has co-authored more than 50 scientific articles and book chapters. Runge has been extramurally funded to study cochlear implants, genetics of hearing loss, and auditory neuropathy spectrum disorder. She received her doctorate from the University of Iowa in 2002 with a primary focus in auditory neurophysiology.